Look for the next Stream Stewards course in the Fall of 2019. 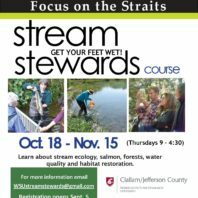 Learn about stream ecology, salmon, forests, water quality, and habitat restoration in the classroom and field. After the course volunteer 40 hours on a water related project of your choosing. Below is the course description from 2018. The 2019 course will be similar. Dates and locations may change. 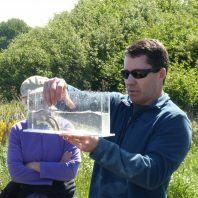 This 5-week course combines classroom presentations by regional experts with field trips around the Olympic Peninsula focusing on the rivers and streams that flow into the Strait of Juan de Fuca. Dates for the 2018 course were Thursdays: Oct. 18, 25; Nov. 1, 8 and 15, 2018 from 9:00 am to 4:30 pm each day. Cost was $25. Class met at 9:00 am at the Jamestown S’Klallam Tribe’s Red Cedar Hall, located at 1033 Old Blyn Highway. Each afternoon we carpooled to field trips in a variety of locations around the Peninsula including Discovery Bay, Blyn, Sequim and Port Angeles. Classes concluded at 4:30 pm from each day’s field trip location. Participants in this course received comprehensive, science-based training and become stewards, citizen scientists, and educators in the local community. Instructors came from a wide range of local and regional agencies and organizations. Following the class, WSU Stream Stewards commit to volunteering 40 hours for local water-related programs with WSU Extension, or another of our partner organizations such as the North Olympic Salmon Coalition, Jefferson or Clallam Conservation Districts, the Dungeness River Audubon Center, Streamkeepers, or the Jefferson or North Olympic Land Trust and others. Activities include stream monitoring, restoring native habitats, environmental education and more. You are encouraged to attend a free, optional, 1-hr orientation session to learn more about the class. The orientation is usually held at the same location as the class, Red Cedar Hall. Stream Ecology A stream is so much more than running water. Wading in a stream will be a whole new world after you learn about stream flows, shifting streambeds, potential pollutants, macroinvertebrates, and riparian ecology. Salmon biology management and recovery Salmon is the quintessential Pacific Northwest species. But what do you really know about them (besides how delicious they are to eat)? 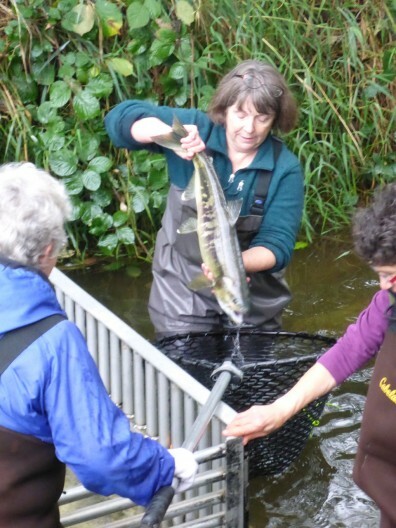 Join our enthusiastic experts as we watch salmon return to local creeks to spawn. Conservation and restoration strategies How do we protect natural habitats and productive working lands in perpetuity? Perpetuity is a long time! Get the insiders view of how this can be accomplished and how you can get involved. Stream Stewards continues the WSU Beach Naturalist and Master Gardener tradition of volunteering in the community. You could help with salmon spawning surveys; take water quality samples; help install rain gardens; hobnob with tourists and friends at the annual festivals and more! Apply and pay online at Brown Paper Tickets. Email application: Download, print, and fill out an application, then return by email. Mail your payment to the address below or bring it to the first day of class. Mail application: Download, print, and fill out an application and mail it to WSU Stream Stewards, 223 E. Fourth St. Suite 15, Port Angeles, WA 98362 along with your payment. Because this program is funded by a grant in 2018 and 2019, we are able to offer it for only $25 – making this a great time to sign up! This program is funded in part by the United States Environmental Protection Agency under assistance agreement PC-01J22301 through the Washington Department of Fish and Wildlife. The program contents do not necessarily reflect the views and policies of the Environmental Protection Agency or the Washington Department of Fish and Wildlife. CURRENT VOLUNTEERS – Click here to log your volunteer hours for Beach Naturalists or Watershed Stewards.